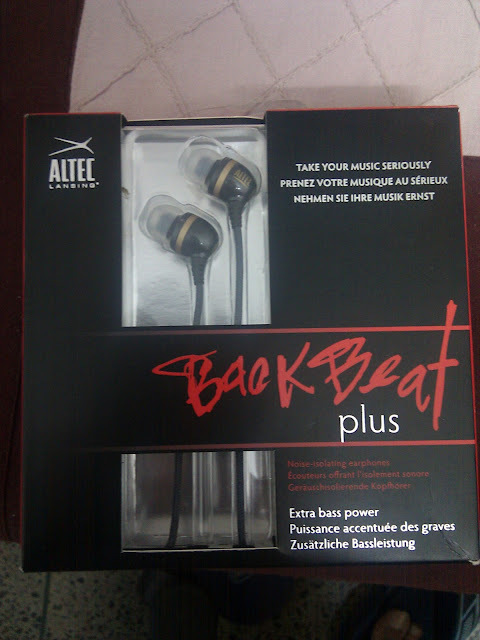 Another earphones in my kitty are from Altec Lansing which I received from eMusic.com in their promotional campaign. These are nice earphones and gives good sound for general use. These headphones product quality is ok and will last for quiet some time with proper care. The Altec Lansing Back Beat Plus earphones are great for the price they come for. This model is out of the market but has nice clothed cable which helps.